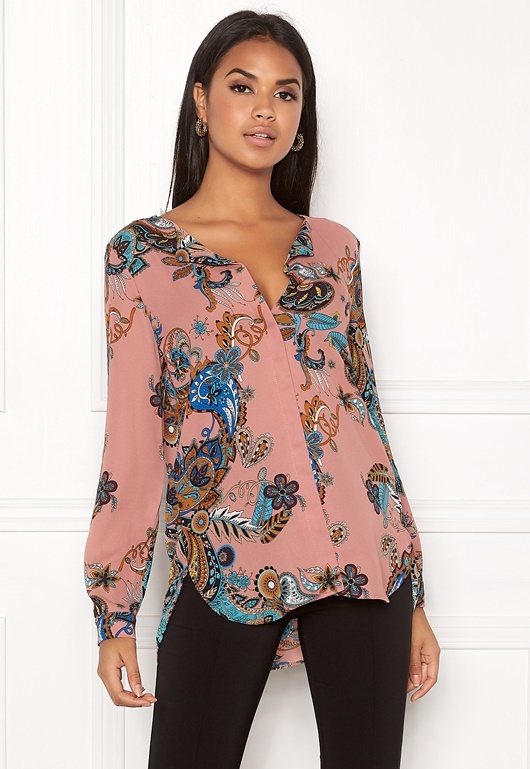 Beautiful blouse with a lovely pattern from VILA. 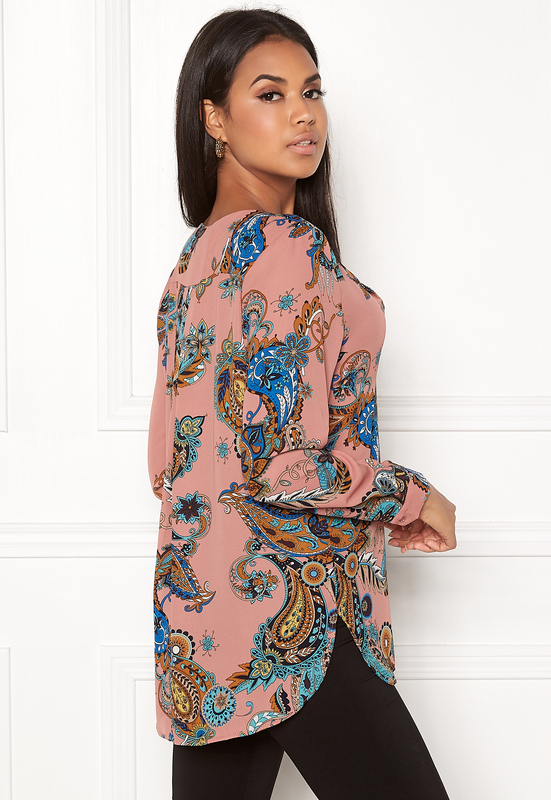 The blouse has a lovely fabric and is perfect for both everyday and party wear. - Unelasticated, woven quality - Concealed buttons at the front and at the bottom of the sleeves - Relaxed fit - Longer hem at the back compared to the front Back length from shoulder 75 cm, Bust 100 cm, in size S. The model is 176 cm tall and wears a size S. Machine wash at 30 degrees.